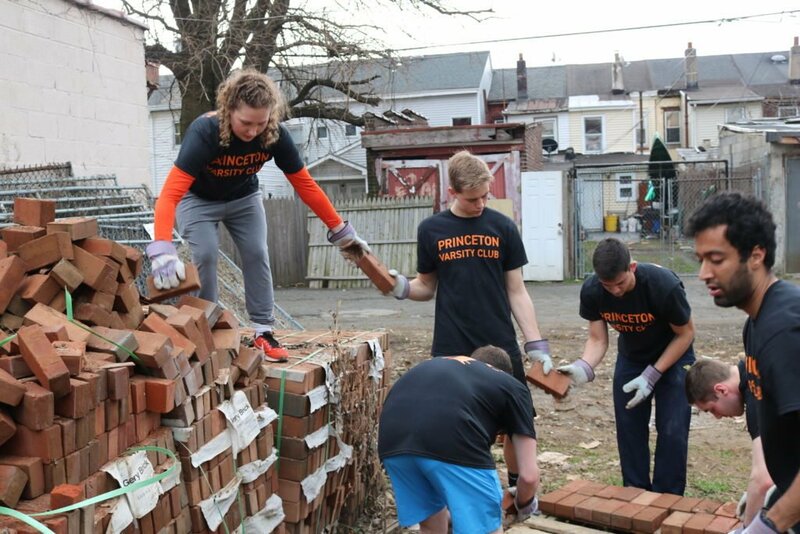 The Princeton Varsity Club recently completed its’ second annual “Habitat for Humanity” service project. Student-athletes from a number of Princeton teams came together to volunteer as part of the ongoing service series “Weapons of Mass Construction.” In coordination with the Pace Center for Civic Engagement, Princeton varsity student-athletes, spent the day on a build site in Trenton, NJ working to help construct safe and affordable housing for families in need. 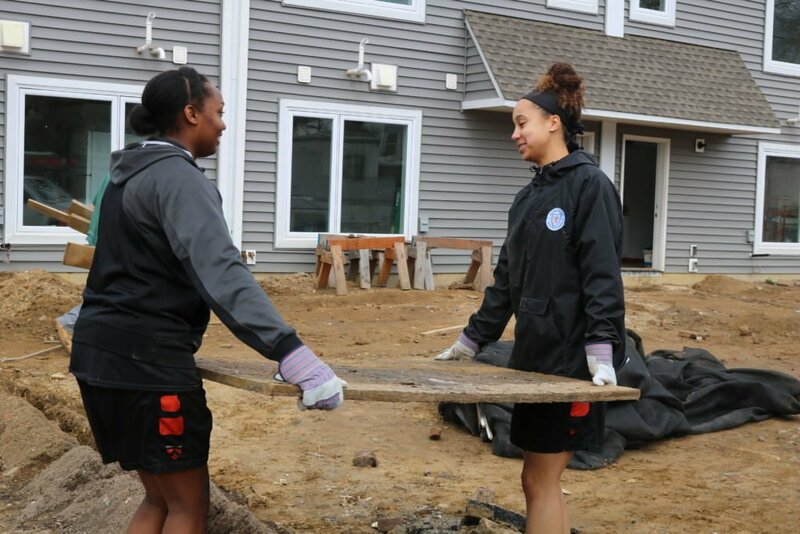 One of the most rewarding elements of the day occurred when the Princeton Student-Athletes arrived and were greeted by two of the families of whom the houses will be presented to upon completion. 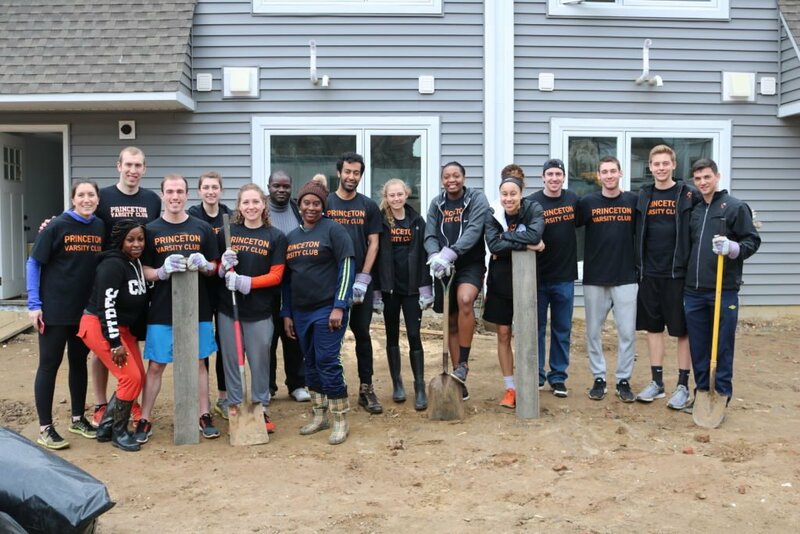 The families and the student-athletes worked together throughout the day on various projects such as cabinetry, flooring, brick-laying, site clean-up, etc. Click here to view a view photo gallery from the event.